1. Preheat the oven to 180ºC, then grease and line a heat-proof dish with baking paper. 2. Combine the flour and sugar in a bowl, then add the softened butter. Rub the butter in until the mixture looks like breadcrumbs. 3. Quickly knead the mixture before pressing the dough into the dish. Prick the shortbread dough lightly and bake for between 15 and 20 minutes, or until it has a golden brown colour, then leave to cool. 4. 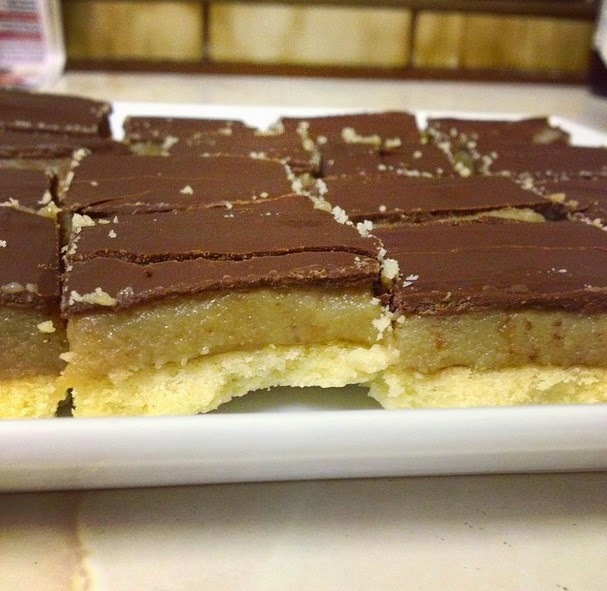 Once the shortbread has cooled, make the caramel by combining the butter, sugar and condensed milk in a pan. On a medium heat, keep stirring until the sugar has totally dissolved. Gently bring to the boil before simmering, allowing the caramel to thicken. 5. Once thick, pour the caramel over the biscuit base and leave to cool- this may take a while, so half-way through I normally speed up the process by putting it in the fridge. 6. When the caramel is cool, break the chocolate into pieces and melt in a heat-proof bowl over a pan of simmering water. Pour the chocolate over the other 2 layers, and leave to cool for about half an hour. 7. 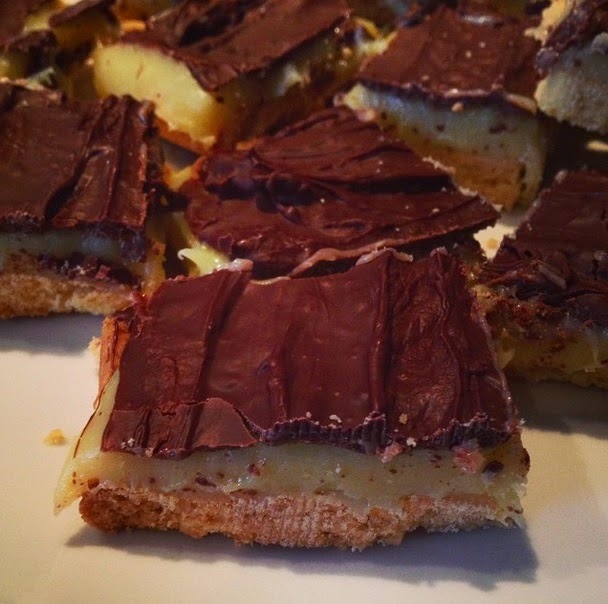 Cut the bake into squares of your choice- I went for small chunks which made around 25, but go with whatever you prefer. I hope you enjoy this bake- do let me know if you try it out! This looks soooo yummy these are one of my favourites!